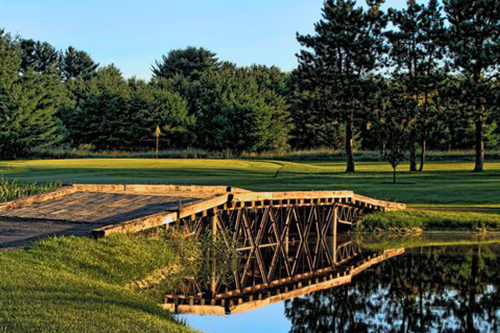 Located on 100 stunning acres just 3 miles south of Eau Claire on Highway 93, Hickory Hills Golf Course is an 18-hole, executive length course geared towards the recreational golfer. At Hickory Hills, you will find the lush fairways, exceptionally friendly customer service, and the best scenery the Chippewa Valley has to offer. Come experience why Readers Choice Awards and Volume One Magazine have voted us the best golf course in the Chippewa Valley for 15 years! Improve your game with golf lessons! Text "Hickory" to "51660" for Hickory Hills Golf Specials.